Papa & Ganny spent the night with us Christmas Eve night. On Christmas morning we had birthday pancakes for Jesus's birthday. The girls loved blowing out the candle after we sang happy birthday. In fact, that might have been even better than opening presents. The probably relit and blew out their candles ten times! After breakfast they opened presents. We slid by without too many questions about Santa visiting again this year. We have really tried to downplay the whole Santa aspect (expect for the yearly picture at the mall) of Christmas as much as possible so the girls could relate the celebration with the real reason for the season, our Savior. Hillary Ashton has definitely asked a lot more questions this year, but luckily the standard "I'm not sure" or "You'll have to ask Daddy later" responses have satisfied her this year. 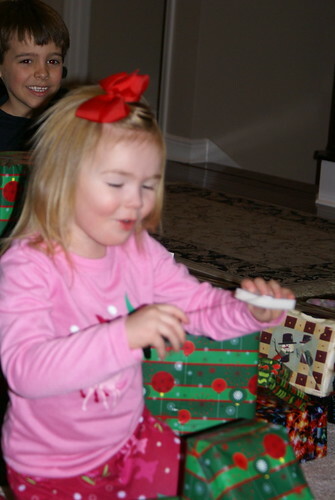 Sophie Le has been easy, she knows it is Jesus's birthday and has no desire to include Santa in her Christmas! 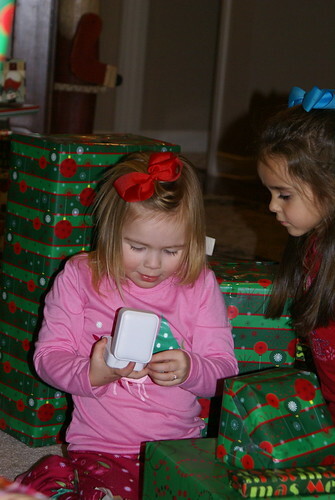 Anyways, the girls had a blast opening presents before heading the Paragould to celebrate with the Arnold's. I wish I would have taken more pictures! 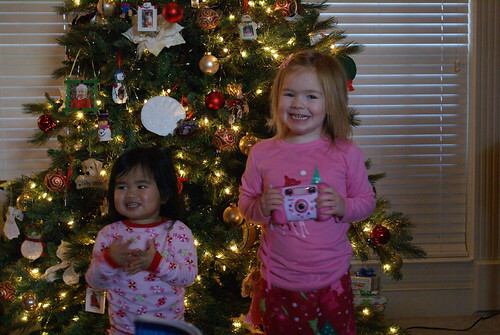 Christmas morning in their Christmas pjs. They open a pair of pjs and house shoes every year on Christmas Eve. Here is their new Big Girl's bedroom they got for Christmas. We decided not to stack the bunk beds. I love how it turned out! Btw, they are doing great sleeping in the same room now! Praise the Lord!! 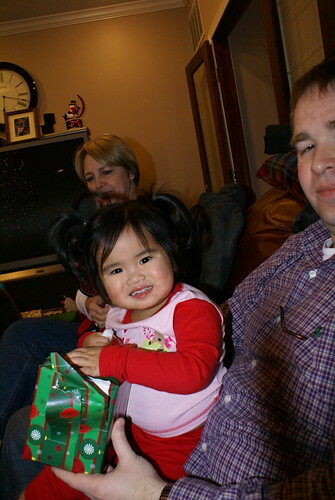 Sophie Le opening presents Christmas night. The next morning we went to the movies! 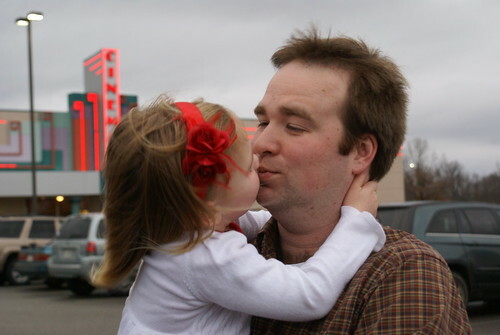 We go to the movies about once a year so it was a big treat for the girls. I wish I had a pictures of Le, but she fell asleep about half way through the movie and didn't wake up when I put her in the car. 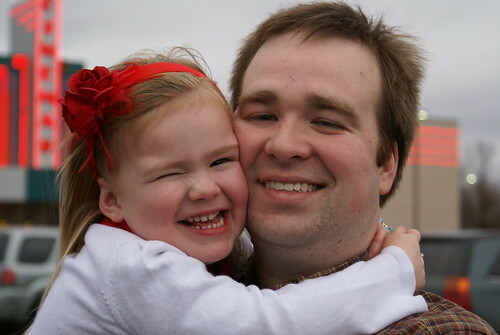 Sweet baby with her daddy. Their new room is PRECIOUS--love it!! !